I'm absolutely not joking when I say that I was literally lying in bed a few evenings ago and it came to me how I could do a simple chevron that everyone could do. I had seen quite a few nail tutorials that involved stickers but I really wanted to do a freehand alternative. I sat and drew it out to check that my method would work and then I elaborated on it with the zigzag version. 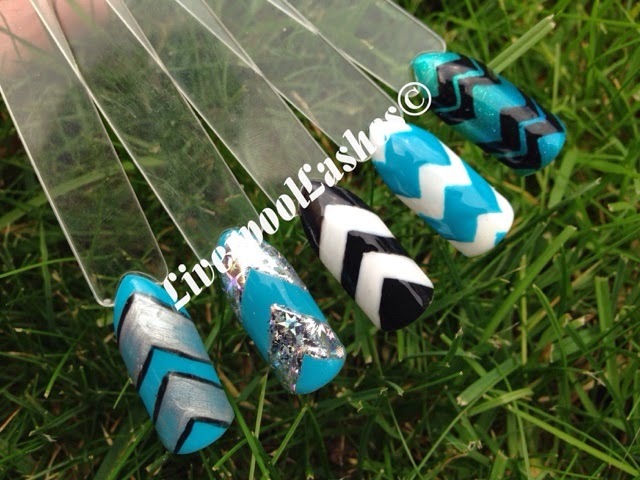 All of the above designs were made using Shellac however the basic method can be done just using regular polish.